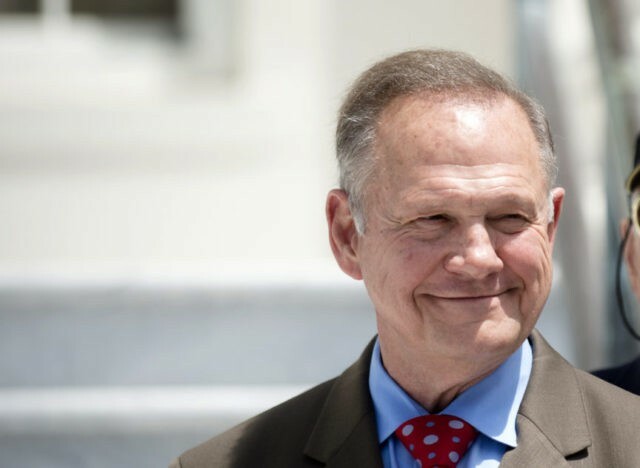 Judge Roy Moore, the conservative candidate in the U.S. Senate GOP primary runoff in Alabama, continues to receive endorsements from conservatives within the populist nationalist movement. While the candidate Luther Strange has received the backing of the Republican establishment and perhaps surprisingly, President Donald Trump, his opponent, Judge Roy Moore, has received endorsements from many of the most important figures in America’s populist movement. Bannon will campaign in Alabama on Monday evening in support of Judge Roy Moore, Axios first reported. Despite receiving a string of endorsements from members of the populist movement, Brooks finished in third place during the Republican primary. After his defeat, he endorsed Roy Moore. “My support of Roy Moore has nothing to do with specific displeasure with the appointed Senator Luther Strange, but because if the “power brokers” in DC are as desperate as they seem to be to keep Judge Moore from joining them, then they must fear that he can’t be counted on to “join the club,” Huckabee wrote on his website. “And that is a good reason to support Judge Moore and hope that it sends a message to the do-nothing Congress that ought to be standing with our President to reform healthcare, taxes, infrastructure, national security, and job-killing regulation,” he continued.” Imagine the progress we’d have if members of Congress were as dedicated to helping the President’s plans for the economy as they are in going on TV to complain about a tweet he sent out,” Huckabee wrote on his website. “Roy Moore will make the right, tough decisions, no matter the political consequences. And President Trump badly needs this type of support in the U.S. Senate now,” James said. Initially a supporter of Mo Brooks, Levin switched his endorsement to Moore in the run-off. Discussing President Donald Trump’s decision to endorse Luther Strange, Levin accused Trump of stabbing “every conservative in this country” in the back. Nigel Farage has announced that he will speak in support of the candidate Monday evening at a rally in Fairhope, Alabama, and also confirmed to Breitbart London that he was keen to help the President achieve his goals, and that his appearance at the rally was about helping to cement the victories over the political establishment that the President and his base won in 2016.